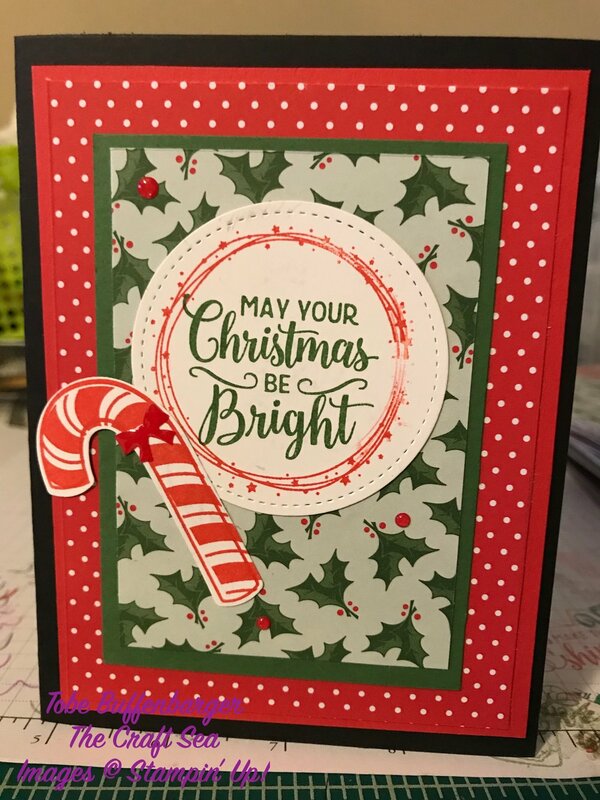 Today’s card is being featured on Stylin’ Stampin’ Inkspiration. 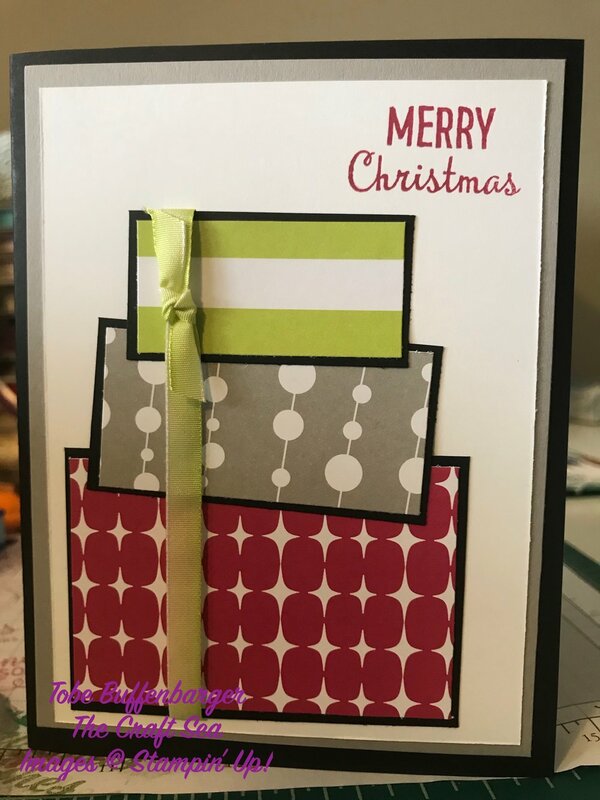 The challenge was to create a Christmas card. Tomorrow is the big day, but before we get there, I had one more card to share with you. I love all the pretty patterned paper Stampin’ Up! comes out with every year. I decided to show off that paper with a simple card for the season. Today’s card is being featured on Stylin’ Stampin’ Inkspiration. The challenge was to create a card featuring some punch art. I choose to go simple and create a Christmas tree out of one of my punches. 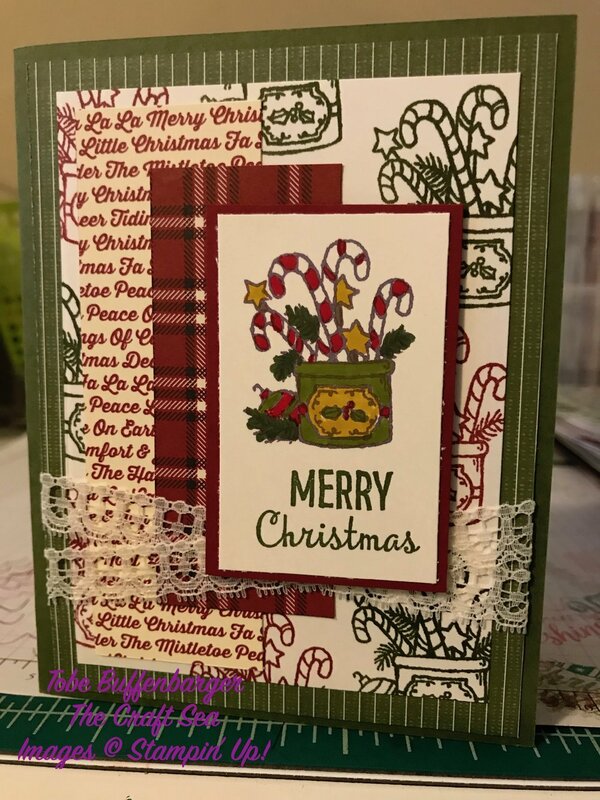 After digging through, I settled on the Christmas bulb punch to create the “leaves.” From there, I stamped some leaf detail using a retired stamp and got to punching. After assembling my tree, I added a few ornaments with a hole punch and a tree topper with a star punch. For a final touch, I added some Wink of Stella “snow” to my card face.